We have mentioned in our 2010 Survey of Brazil, how much human conception should evolve there and how much a country built on Slavery has difficulties to free itself from the past. By slaves we mean people prisoners of others and forced to work without rules and without remuneration. -For approximately € 200, any poor or rich family may have a permanent servant who is most of the time a black and illiterate woman. The servant utilization is a wide habit and even low revenues people may think that they have an absolute need of a servant to make usual tasks at home. We heard about a person earning € 1000 per month and thus paying 25% of his revenue to have a servant. Old and recent buildings with numerous flats generally include “between the kitchen and a service entrance”, a place dedicated together to washing of clothes and to a servant. 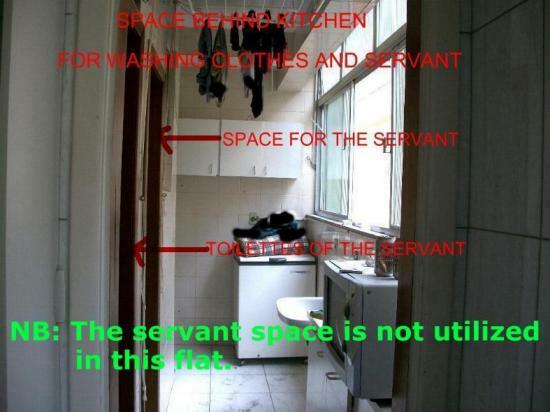 This place includes a tiny space and toilettes for the servant. 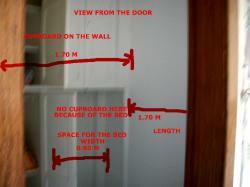 The space where the servant sleeps is a kind of big square cupboard of approximately 1.70m/1.70m i.e. less than 3 m2. This tiny space is without window. The size seems to be calculated to include a berth of approximately 1.7m /0.80m and seems to fit the size of a woman of 1.60 m.
This space includes toilettes and independent entrance door in order not to disturb the privacy of the employer. 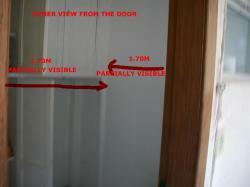 This is why on a level of 2 flats for example we have generally 4 doors. 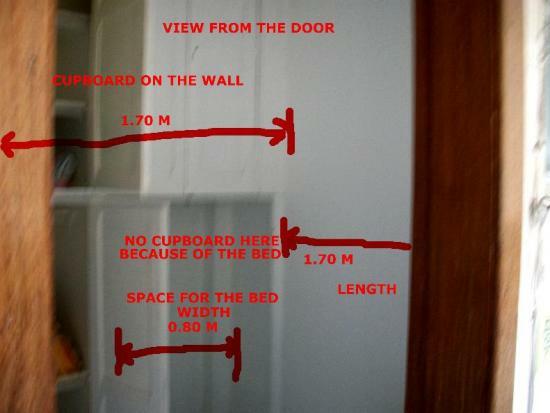 The reduced space of less than 3m2, the absence of window and the absence of a real bed reflect a conception of humanity which must be reviewed. 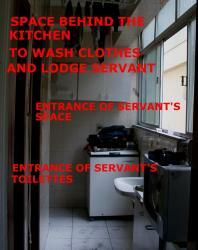 We were told that these spaces are less and less utilized by servants, who prefer to go back in their family if they can. Many people justify their need for a servant as a way to give very poor people an occupation with a small amount of money, which might not have otherwise. But this way maintains people in illiteracy, poverty, draws advantages from misery and does not bring a real solution to Lumpen proletariat. If many people can pay € 200 per month for a servant and pretend to do it as a form of solidarity, we think that they can pay an equivalent additional tax instead to raise an Education Fund. This Fund should permit servants to have a skilled training in a more useful sector for the country.